George and Cecilia Holland are no strangers to the, er … daily grind! 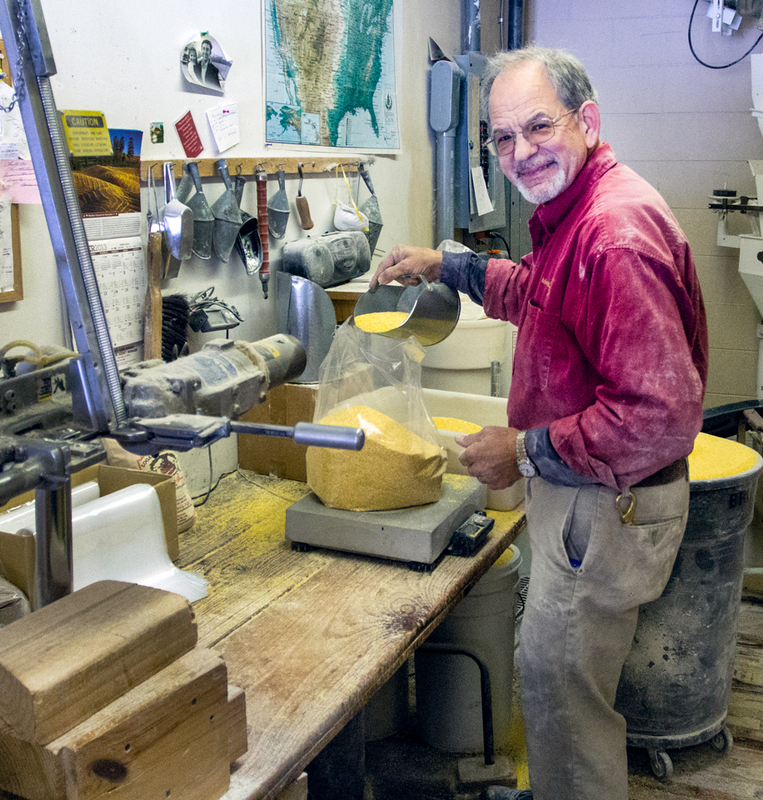 At Logan Turnpike Mill, they lovingly make grits, cornmeal and flour the old-fashioned way — using the whole grain and processing at a slower speed to enhance taste and preserve vital nutrients. Local farmers provide the corn, and the wheat comes from Montana, where the cold climate and soil produce a high protein grain. 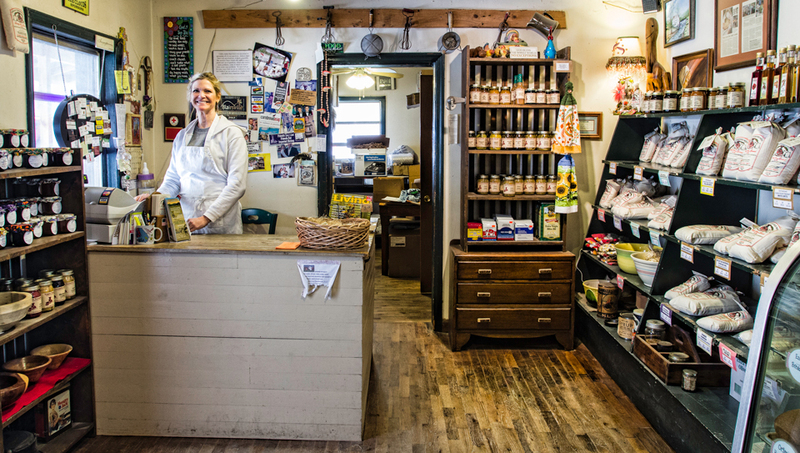 Rye is sourced from the Midwest, and buckwheat comes from up-state New York. 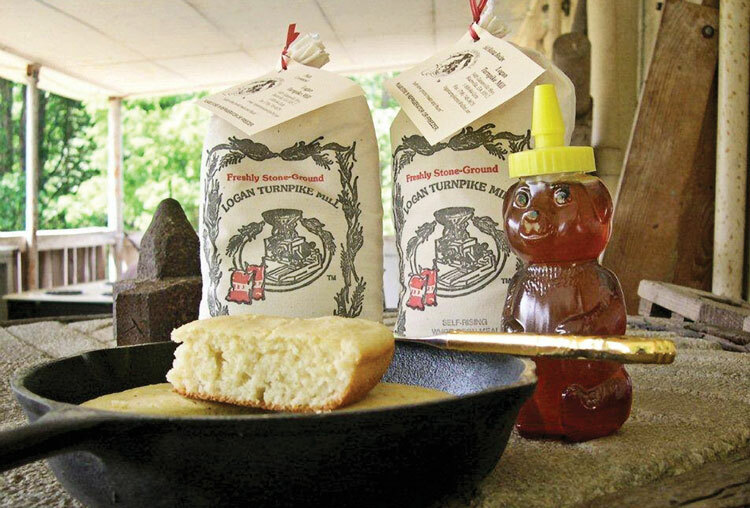 Visitors can see their Three Grain Pancake Mix , Pioneer Porridge or Old Fashioned Speckled Grits being stone ground as they watch. Or, order online, and George and Cecilia will custom grind your order, hand-package it in a distinctive cotton cloth bag and ship it out the same day it’s ground. Either way, you’re in for a taste that’s as authentic as it gets! The Hollands purchased the mill in 1986. They carried on the tradition of the original owners: to go around to country fairs demonstrating corn grinding. 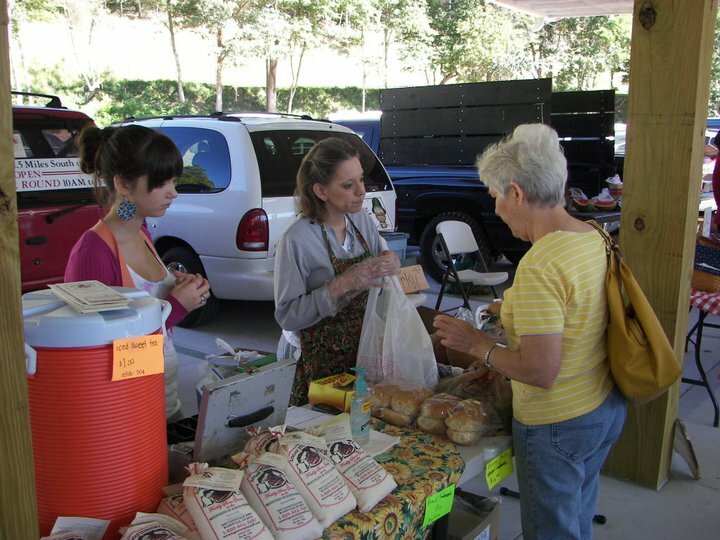 But they expanded and started telling folks of the good nutrition and wonderful taste of freshly ground grains. Stop in the store to check out the antique Williams gristmill circa 1916 and the 1926 Fairbanks Morse hit-n-miss engine mounted on a buckboard wagon with iron wheels. Or order the products online to have fresh ground flavor delivered right to your door. 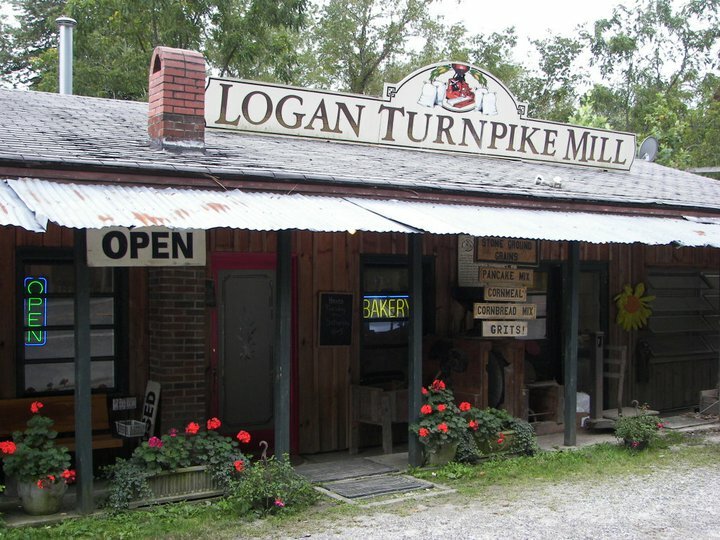 You’ll find many of the local farm-to-table restaurants also feature Logan Turnpike Mill ingredients — especially in the shrimp & grits dishes!